""Some people get pigeonholed as being into just one thing’, Wink remarks, ‘I hate that. When there are rules, it doesn't become art, and it's not fun. I've learned that you can't please everybody, so I'd rather be concerned with making good art, and the people that like this art will stick with you." 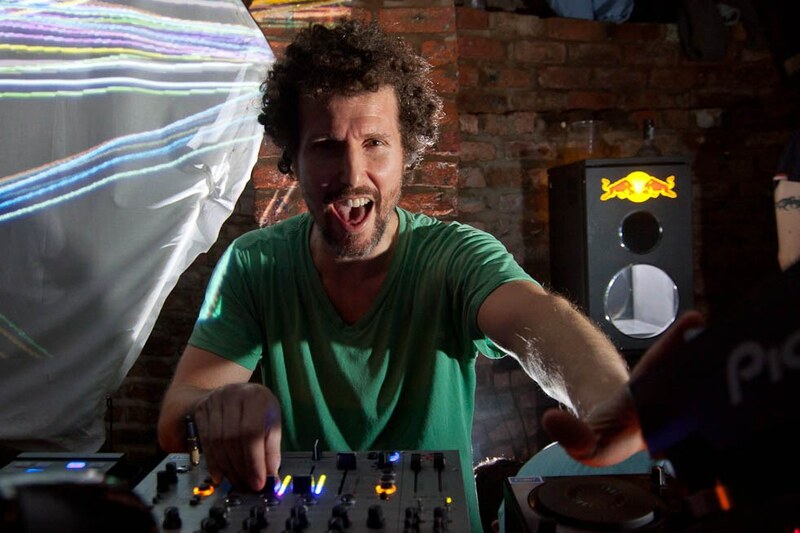 In 1995, Josh Wink became one of the first DJ/producers to translate his music from the underground to above and to international success. He consecutively unleashed a string of classics including ‘Don't Laugh’ (recorded as Winx on Nervous Records) and ‘Higher State of Consciousness’ – tracks that topped charts worldwide and that are still recognized and played today. He also remixed Moby and Firefly in the same year. In 2005, Josh Wink remixed artists including DJ Sneak and Alter Ego and, in 2006, he released ‘Have To Get Back’ (no vox version) on M-nus, under the moniker Dinky Dog, as part of M-nus’s 'MinimizeToMaximize' / various artist compilation. He also released the third in the Profound Sounds series – ‘Profound Sounds Vol.3’ (coming out in the UK on Ministry of Sound entitled ‘Sessions’) – which exclusively included the remix he crafted for Radiohead’s ‘Everything In It’s Right Place’. His ‘Have To Get Back’ release came out as a double A-side on M-nus, backed with Loco Dice’s ‘Seeing Through Shadows’. In 2007, Josh Wink released his EP ‘Thick As Thieves’ on Steve Bug’s Poker Flat imprint – an exchange for a release Bug had given to Ovum ‘Houze/Summer Nights’ (released in 2004) - he also released ‘Swirl’/’Have To Get Back’ (Vox version) on Ovum and remixed Chicken Lips, Taho (for Ovum), Someone Else and Radio Slave’s ‘Screaming Hands’ for Rekids. Into 2008 and Wink has once again switched styles, altered rules and initiated a change. With his influential EP ‘Stay Out All Night’, released on Ovum in May (a massive Miami track and an ‘Essential New Tune’ for Pete Tong on Radio 1), Wink went against the current musical grain and paired NYC 90's house with Chicago jackin’ beats and a bit of St. Germain. Wink also spent the first half of 2008 preparing his fourth artist album – ‘When a Banana Was Just a Banana’. All times are GMT -4. The time now is 02:30:49 AM.